The 2015 Chemistry Nobel Prize was jointly awarded to Tomas Lindahl, Paul Modrich and Aziz Sancar “for mechanistic studies of DNA repair”. You can read the scientific background on their research here. An easier to understand summary is available here. 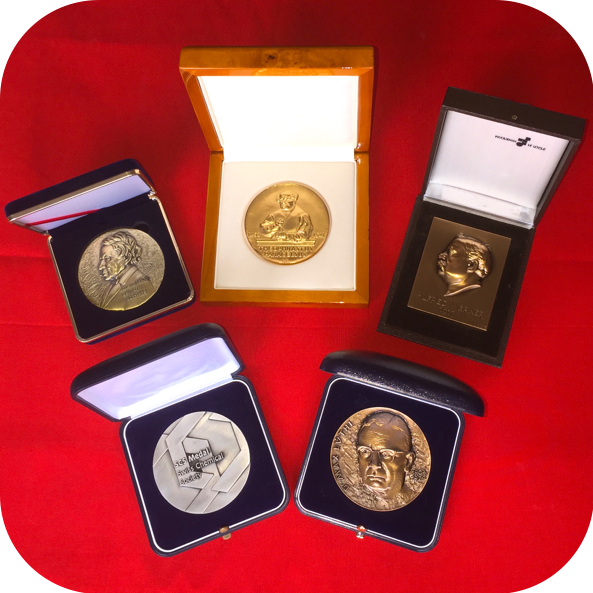 EuCheMS would like to congratulate the awardees and hopes that this prize may inspire many chemists all around the world. Vienna was the backdrop for one of the so far EuCheMS largest General Assemblies (GA), a GA in which representatives of EuCheMS Members and EuCheMS Professional Networks reinforced their commitment towards European chemistry and discussed new directions for the future. Apart from strategic discussions, there was a talk by Prof. Reiner Salzer on the outcomes and future of the European Employability Survey for Chemists and Chemical Engineers, as well as a talk from Dr. Robert Parker, RSC Chief Executive, on Public Attitudes Towards Chemistry. The General Assembly also marked EuCheMS growth, with the integration of three new supporting members, Fraunhofer Institute for Interfacial Engineering and Biotechnology (IGB), FECCIA, and ERIC, thus elevating the number of EuCheMS Members to the number of 46. On the 9th October, EuCheMS gathered in Berlin some of the Europe´s top researchers to discuss "Solar-Driven Chemistry" during a scientific brainstorming workshop chaired by EuCheMS Vice-President Prof. Ulrich Schubert. This brainstorming workshop, which followed a meeting organised by EuCheMS in December 2014, aimed to explore the possibility of creating a European platform for “Solar-driven Chemistry” as well as the need to define the subject more precisely, to identify research deficits and opportunities and to develop a vision where we would like to stay in 30 years from now. This means that it is crucial that we now lay the groundwork for a follow-up programme to Horizon 2020. During this workshop experts from science and funding agencies presented and debated ideas in a discussion where scientific arguments were the only limit. The outcomes of these discussions will later on be disseminated to the general public and to the EU policy-makers. The European Commission will invest almost €16 billion in research and innovation in the next two years under Horizon 2020, following a new Work Programme for 2016-17 adopted on 13th October. Carlos Moedas, Commissioner for Research, Science and Innovation said: "Research and innovation are the engines of Europe's progress and vital to addressing today's new pressing challenges like immigration, climate change, clean energy and healthy societies. Over the next two years, €16 billion from Horizon 2020 will support Europe's top scientific efforts, making the difference to citizens' lives." The new Commission Directive on Air Quality sets more detailed and stringent rules on collecting data and prescribes newer reference methods for the sampling and analysis of arsenic, cadmium, nickel, polycyclic aromatic hydrocarbons, mercury in ambient air, and their deposition. It also prescribes more recent reference methods for the assessment of concentrations of sulphur dioxide, nitrogen dioxide and oxides of nitrogen, particulate matter (PM₁₀ and PM₂‚₅), lead, benzene, carbon monoxide and ozone. Some ERC grantees can now benefit from a set of international agreements that make it easier for scientists from Argentina, China, Japan, Korea, South Africa and the Unites States to join ERC research teams for short periods of time. The purpose of these agreements is to foster scientific cooperation between the European Union and some of the leading research agencies outside the EU, boosting the global circulation of talent. This allows ERC grantees to draw on the experience and new ideas of young international researchers. Western Balkans ministers of science signed on September 18 in Split, Croatia an agreement on establishment of the Western Balkans Research and Innovation Centre (WISE), gathering Albania, Bosnia and Herzegovina, Croatia, Montenegro, Serbia, Kosovo, and The Former Yugoslav Republic of Macedonia. WISE will have the status of an international organisation which will host activities of leaders and representatives of participants from the region, other countries from Europe and world, representatives of the European Commission and World Bank, scientists and entrepreneurs dealing with high-technologies as well as those investing in high-technology. With its activities the Centre will complement the work and objectives of the existing two European initiatives – Strategy for the Danube Region and Strategy for the Adriatic and Ionian Region which include most of the European countries. In a recent speech at the European Strategic Energy Technology Plan (SET-Plan) Conference, Commissioner for Climate Action and Energy Miguel Arias Cañete mentioned the importance of an innovation-led transition to a low carbon and high growth economy. The SET-Plan focuses on four core priorities: Reducing the cost of renewable energy technologies; Developing smart grids that can reply to the need of energy consumers and prosumers; New technologies to improve energy efficiency; And increasing the sustainability of the transport system. In addition, Carbon Capture and Storage (CCS) and Nuclear can be added for those member states interested in those technologies. On 15 September, a new initiative brought scientists from all over Europe together with members of the European and national parliaments, with the aim of improving the culture of evidence-informed policy-making and to stress the importance of science. The event, held in the European Parliament and complemented with tailored bilateral meetings, set the basis for greater and continued cooperation under the initiative “MEP-Scientist pairing scheme”. EuCheMS is taking part of this scheme with the presence of two EuCheMS chemists. The "Science meets Parliaments" event, organised by the JRC and the EP's Science and Technology Options Assessment (STOA) panel, builds on successful experiences with similar events organised in several Member States, for example Germany, France and the United Kingdom. Fellows who have completed a research period within one of the FP7 Marie Curie actions may now request a Marie Curie Award Certificate. During the Seventh Framework programme (FP7), the Marie Curie actions funded around 50 000 fellows of 140 different nationalities involving more than 19 700 host organisations. The certificate has to be requested by the project contact person at the coordinating institution mentioned in the Grant Agreement, by completing an online form which can be obtained via the REA website. Michaela Kajšová, from the Czech Republic, is the winner of the 2015 EUCYS EuChEMS Award with her project entitled "The Effect of Cholesterol on Biological Membranes". EuCheMS special prize for best chemistry contribution at the European Union Contest for Young Scientist is attributed every year at EUCYS to a young scientist for hers/his research work in the field of chemistry. EUCYS is an initiative of the European Commission that was set up in 1989 with the goal of promoting cooperation and interchange between young scientists and guiding them towards a future career in science and technology. The primary goal is to encourage efficient resource use and reduce pressures on the water environment, in particular water scarcity, by fostering the development of safe reuse of treated wastewater. Additional objectives of the initiative would be to increase the recycling of nutrients contained in waste water when appropriate, and to contribute to growth and jobs creation in the EU by stimulating the development of innovative technologies and water infrastructure that will provide EU actors a first-mover advantage in this fast growing world market. The objective of the review of this initiative is to assess whether the Recommendation on the exploration and production of hydrocarbons using high volume hydraulic fracturing remains appropriate and sufficient for the safe and secure development of such hydrocarbons and for providing predictability and information for citizens, the business certainty and regulatory environment that allows operators to progress, and which equips the public authorities with sufficient control and redress, should that become necessary. Responding to the legal obligation the Commission Regulation establishes detailed definitions, including technical specifications, for the categories of severely degraded land and heavily contaminated land. It will facilitate to implement one detailed provision of the GHG emission savings calculation methodology and thus help to verify in those particular cases whether biofuels achieve the minimum GHG emission savings requirement as set out in Directive 2009/28/EC and Directive 98/70/EC. The Commission would like to invite any interested parties, including authorities of Member States, manufacturers of cosmetic products, producers of the substances concerned, and relevant industry and consumers associations, to submit their comments on the proposed measures and on their possible economic impact. CONCORDi 2015, JRC's biennial European Conference on Corporate R&D and Innovation, has put its focus on identifying sound evidence-based approaches to inform industrial research and innovation policies. On 1 and 2 October in Seville, Spain, more than 20 new academic works were presented and discussed, covering a wide range of policy relevant issues. Studies discussed include the use of new indicators and its translation into policy targets, the assessment of specific fiscal regimes (patent boxes) on corporate patenting strategies or the evaluation of the additional impact of different public support instruments to corporate R&D and innovation investments. The European Commission has allocated quotas to companies selling hydrofluorocarbons (HFCs) in the EU in 2016. This is the latest step in a gradual reduction in the amount of the climate-warming gases that can be sold in the EU. It follows the adoption of the new EU Regulation on fluorinated gases (F-gases) in 2014, which aims to reduce emissions of the gases by two-thirds by 2030 compared to today's levels. HFCs, the most common F-gases, are thousands of times more powerful than carbon dioxide (CO2). Companies can see their quotas in the HFC Registry, under the F-gas Portal. This online tool allows SMEs to find technological service centres active in the field of Key Enabling Technologies (KETs). Such centres can help SMEs to speed up the commercialisation of their innovation ideas. The centres provide services to enterprises, such as help with prototyping, testing, upscaling, first production and product validation. The web tool provides details for each of the 187 technology infrastructures within service centres active in the area of KETs. In preparation for the next registration deadline in 2018, the European Chemicals Agency (ECHA) is updating the tools and processes for the registration of substances. The main changes will consist of a more user-friendly IT system and an update to the completeness check process. The purpose of the event, which will take place in Brussels on 4 November 2015, is to provide participants with an overview of those upcoming changes, which ECHA will release in 2016. 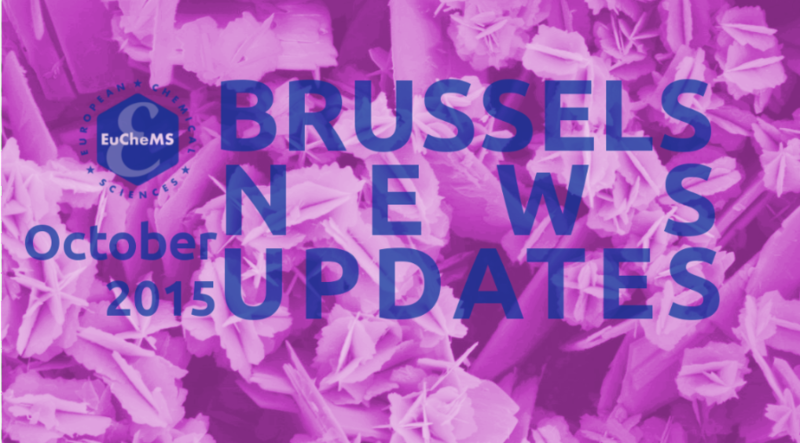 Subscribe to Brussels News Updates!